Home » Heart Health » Heart Disease: It’s Coming to Get You. Will You Be Ready? Heart Disease: It’s Coming to Get You. Will You Be Ready? Heart disease is the number one killer of Americans. This aggressive killer makes a name for itself by preying on tens of millions of Americans who choose to live a certain way and ignore its risk. Although a heart-related death is a huge threat, a new report reveals three-quarters of the population are fearless about dying from one. The report uncovered the general disbelief many Americans have about the threat of heart disease and how uninformed the population is when it comes to symptoms and prevention techniques. Almost a third of survey respondents indicated they do nothing to prevent the onset of heart disease, like eat properly or exercise. Seventy percent claimed they are unaware of the symptoms, even though two out of three respondents said they know someone with heart disease. These results are particularly alarming, indicating drastic measures in education and lifestyle choices must be taken to save lives. This disease is expensive to treat, makes life very difficult, and, most importantly, is a major killer. 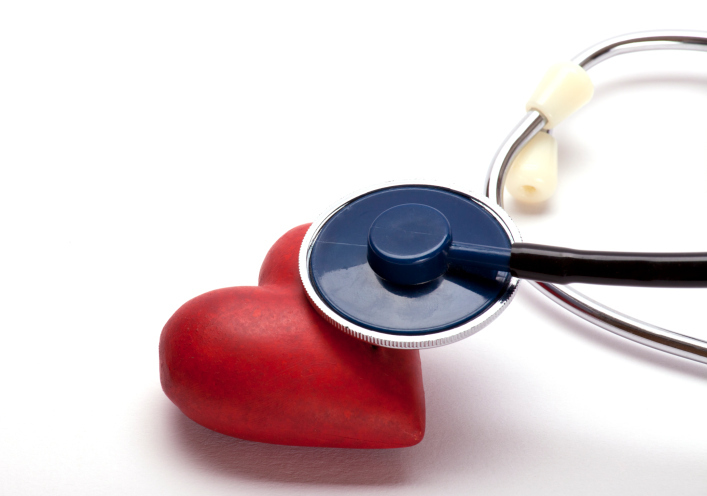 Heart disease is a condition that can be prevented by adopting a low-risk lifestyle. All it takes is some initiative and willpower. Excessive and unusual fatigue, sleep disturbance, and jaw pain are the symptoms you need to look out for. If you do notice these symptoms, you’re not done for; heart disease can be prevented and managed by taking a few steps. One of the main steps is not to believe the hype. A balanced, healthy diet rich in quality nutrition is important for heart disease management and prevention, but no single supplement or superfood will do it. If you take a phytochemical/veggie supplement every day and a couple of tablespoons of fish oil and believe you’re in the clear, you’re wrong. Supplements can help, but they are just to supplement the areas in your diet that might be lacking. For example, people take a veggie supplement because it’s hard to get eight servings of them per day. People take a fish oil supplement because it’s hard to eat a sufficient amount of fish every day to get its therapeutic benefits. But these items cannot prevent disease on their own; instead, they are part of a healthy diet and complement an overall lifestyle. Deciding to avoid exercise or eat poorly most of the time will essentially disregard any benefit they might offer in regards to heart health. Furthermore, it’s important to understand the function of supplements like fish oil. Fish oil is a healthy source of fat with its primary function being improved brain performance. It also helps increase good cholesterol that has links to lower blood pressure and weight loss, but it’s only really effective if it’s part of a healthy lifestyle. Do Multivitamins Lower the Risk of Heart Disease? The report also illustrates people falsely believe taking a daily vitamin/multivitamin will lower their risk for heart disease. Vitamins play a number of roles in the body and help with overall function, primarily at the cellular level. They do not directly impact the heart, but more so the immune system and the general function of your body. Once again, vitamins are supplements that are part of the bigger picture in regards to overall diet and lifestyle. Reading food labels and avoiding processed foods plays a big role. Sodium and sugar both impact the heart negatively, with most people showing little idea for where sodium comes from. It’s packed into processed foods, bread, sauces, and all kinds of other packaged items, so it’s important to be conscious of how much you’re getting if you want to manage or prevent heart disease. Eating right is so important in prevention, so try and get the majority of your daily calories from fresh sources. Vegetables, fruits, lean protein and whole grains will give your body the nutrients it needs to function efficiently and lower the risk of heart-related illness. A high-fiber diet is extremely helpful—fiber is found in high concentrations in most fruits, vegetables, and whole grains. Exercise is also a must, so try and get at least a half hour, three times per week. Finally, be aware of your cholesterol levels and blood pressure, while avoiding activities like excessive drinking and/or smoking. “Majority of Americans have Their Heart Health Facts Wrong,” Science Daily web site, February 7, 2014; http://www.sciencedaily.com/releases/2014/02/140207102322.htm, last accessed February 25, 2014.